As we come towards the conclusion of our studies our course coordinator seems to have built our timetable with the exams in mind – a series of tours that touch on a variety of geographical areas and historical periods in order to refresh our memories in advance of the tests that await us shortly. Today’s tour was in the area known as the Ayalon valley, which lies on the way between Tel Aviv and Jerusalem, so it was reasonably close to home. Unfortunately the weather forecast was not great, and we did indeed get reasonably wet at various points of the day. Still, this is all part of the job! Our day began at the ancient ruins of Tel Gezer. There are impressive ruins from the Canaanite period, but for those looking for archaeological confirmation of the bible, the remains of a gate in the Israelite style would seem to corroborate the description of King Solomon building such structures at Gezer, Meggido and Hazor – at all three sites similar gates have been unearthed by eager archaeologists. We drove a short distance from Gezer to the cheesily fun attraction of Mini Israel. 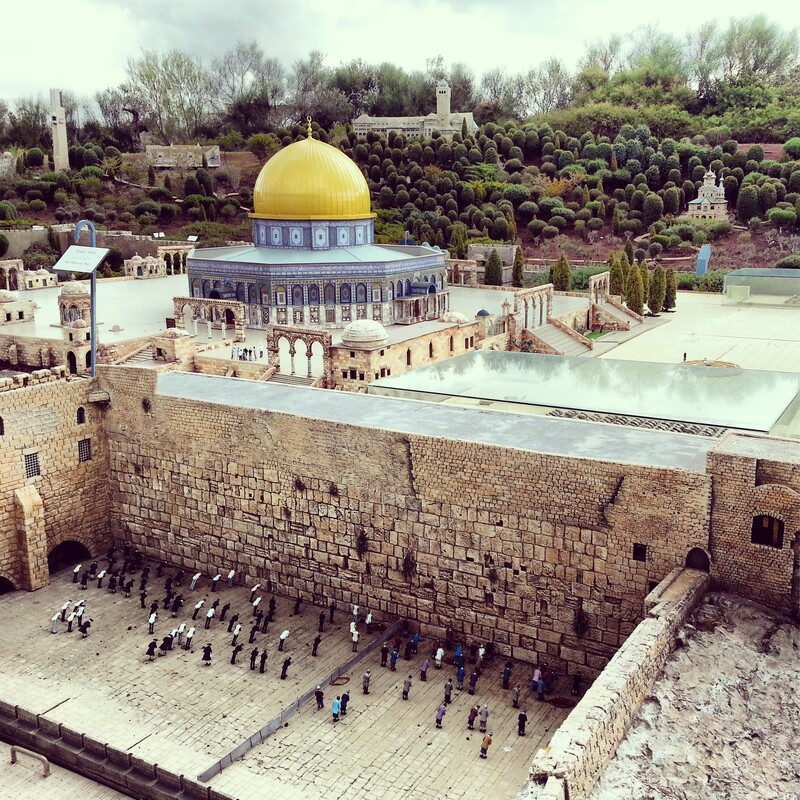 The park contains miniature models of Israel’s key tourist attractions within a handily confined space. It is rather cute, and is a nice place to come perhaps at the conclusion of a trip as a reminder of what one has seen; it also moonlights as a concert venue and I can imagine that hearing live music there must be rather lovely. An even shorter distance away was the ruins of the old Crusader fortress of Toron des Chevalliers. Not much remains of what was once an impressive fortification, but we were able to hike from the top of the remains (in the pouring rain!) down to the modern monastery of Latrun. One theory is that the name of the area (Latrun) comes from that of the castle (Le Toron). 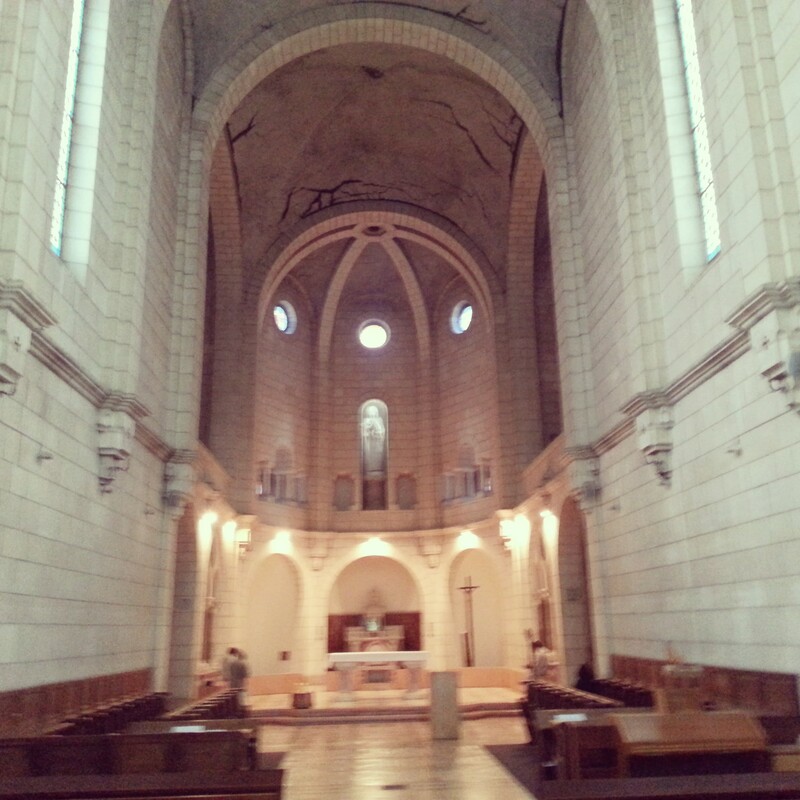 The monastery is run by Trappist Monks, known in Israel as the silent monks due to their aversion to speaking unless it is absolutely necessary. The building is beautiful and it was difficult to resist the temptation to try some of the monks homemade produce – wine, oil, honey etc. 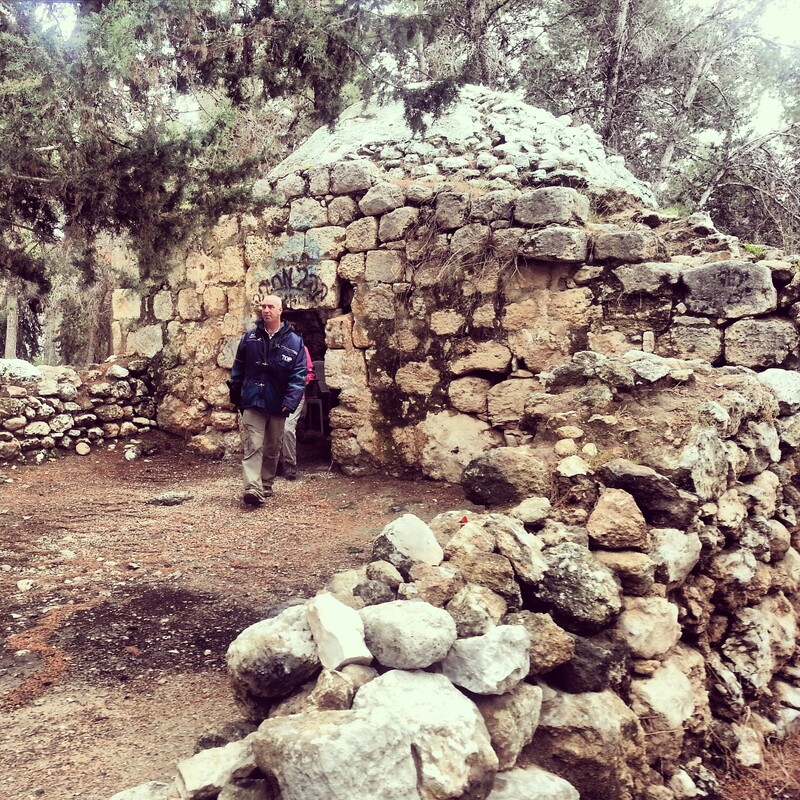 Another short drive took us to the site identified with ancient Emmaus. 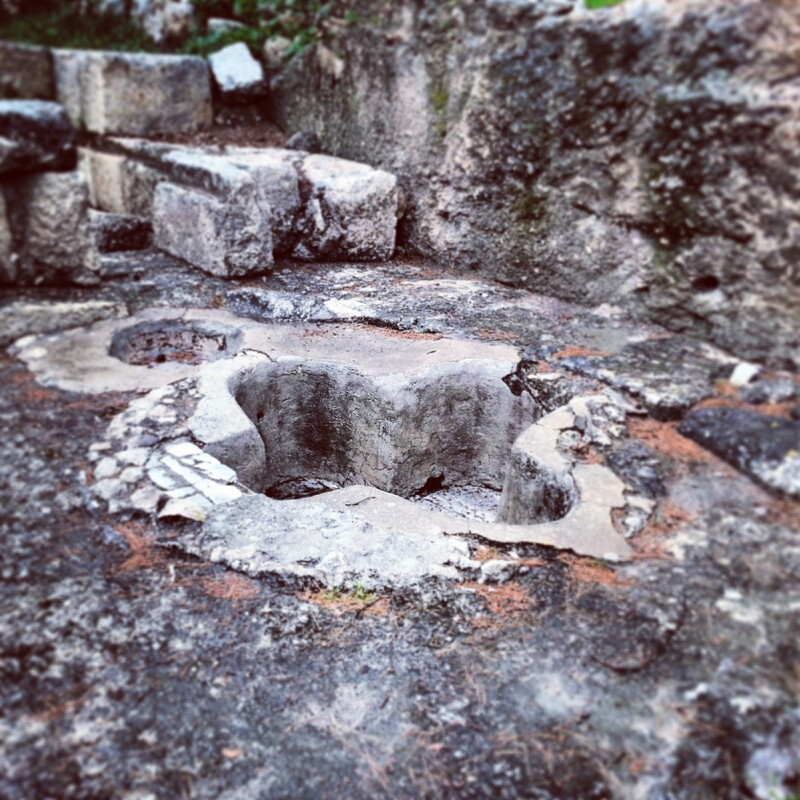 According to the New Testament, here Jesus appeared for the first time following his resurrection. There is great dispute about the location of Emmaus (and at least three if not more sites that claim to be the site of this ancient city) but it is clear that the identification of the site is ancient, as testified by the ruins of a 5th century Byzantine church. 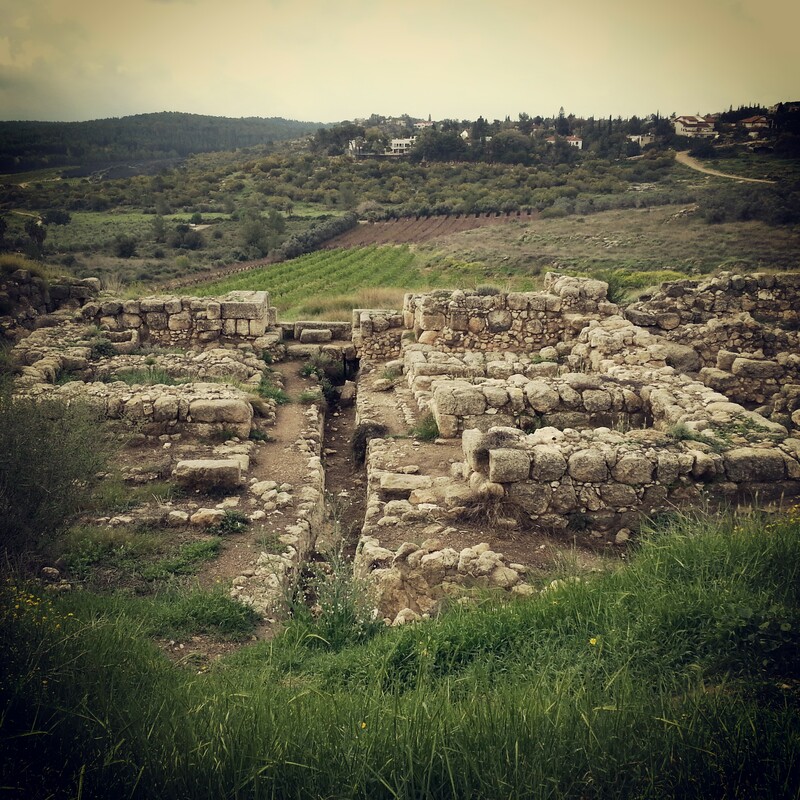 Continuing our journey eastwards, we stopped for a short hike in the Ayalon-Canada Park along the ancient aqueducts which served the city we believe was Emmaus. The air was fresh, the greenery lush, and it was enough to take our minds of the fact that we were a little damp. 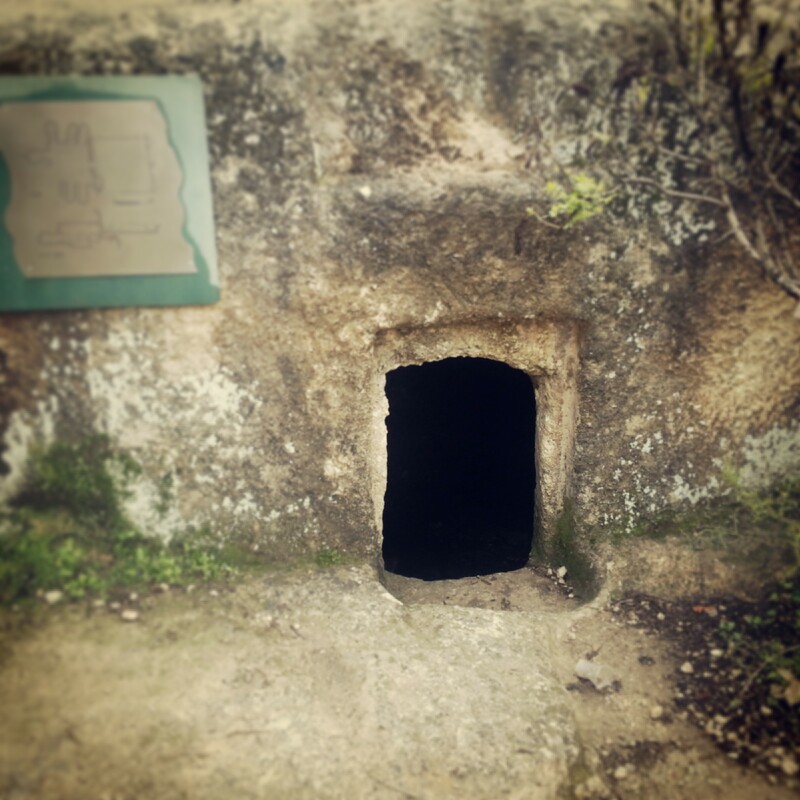 Along the route were remains of ancient tombs and wine presses, to ensure that we kept our archaeological minds sharp as we walked. 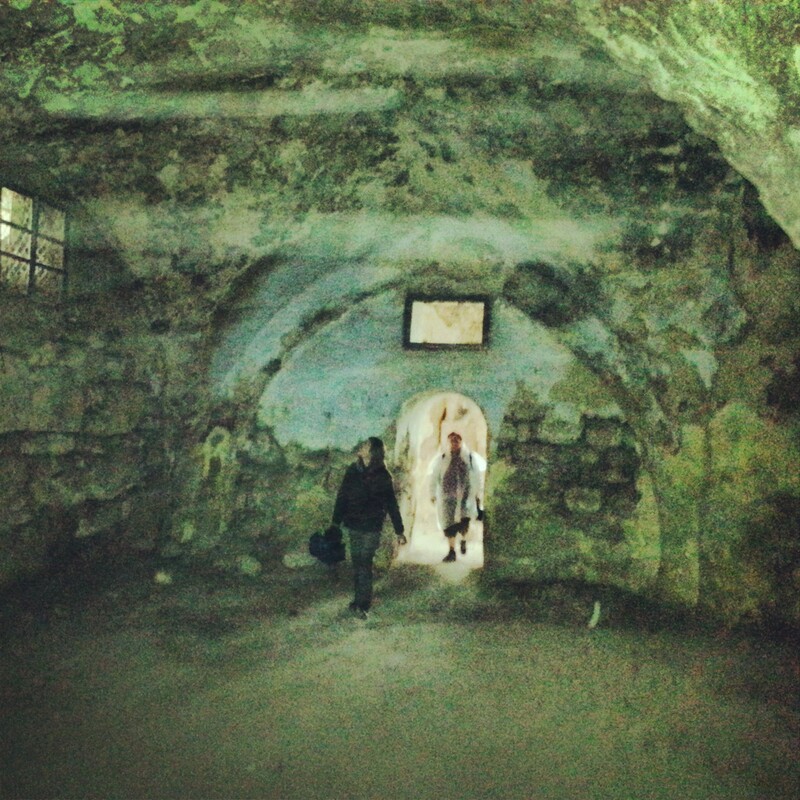 The Tombs of the Maccabees – burial site of Mattisyahu himself? After a brief stop in Modiin for lunch, we visited the site known as the Tombs of the Maccabees. According to Jewish tradition, this ancient dynasty rebelled against the oppression of the Greek rulers of the land in the 2nd century BCE, and restored a brief period of Jewish sovereignty. Their tombs are described as a grand mausoleum and many have searched for them without success. The site near Modiin, signposted from the 443 road was considered to have been their tombs, although this theory was later debunked. Still, it has not stopped a small group of religious Jews installing a proper tombstone to Mattisyahu, the father of the Hasmonean dynasty. Indeed, our guide left us with some doubt – more recent research may suggest that the site may actually be the burial plot of these ancient kings.